Summer may be on the wane, but the weather doesn’t seem to have got the message yet. That means we can continue to enjoy healthy, simple eating. If you feel the same, then you’ll love this collection of recipes, all curated from some of our absolutely favourite food bloggers right now. All these recipes feature vegan or vegetarian ingredients, most require little to no cooking, and all are perfect to share with friends. Enjoy! Ashley Morgan is on a mission to embrace vegan, organic, and eco-friendly living. She’s been blogging at Ashley Morganic for nearly four years, where she writes about green beauty, ethical fashion and shares her vegan recipes. 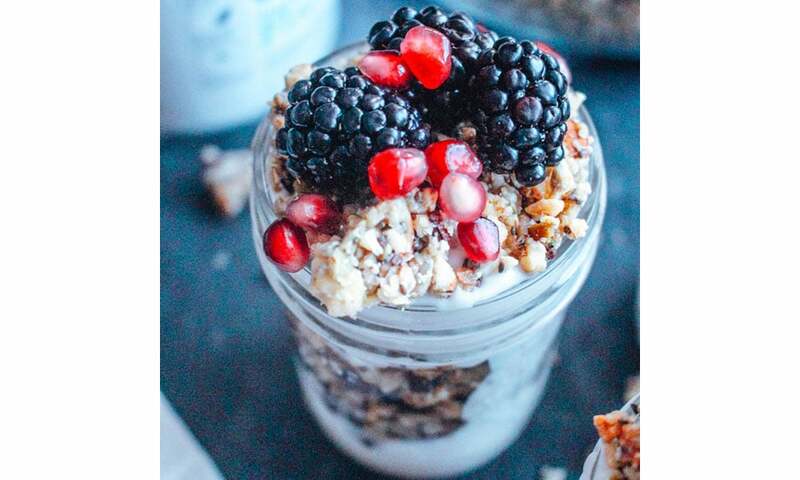 We love this recipe from Ashley for her Cashew Yogurt and Homemade Granola Fruit Parfaits; if you make the granola in advance and store it in a jar, the recipe can do double duty, as either a healthy vegan breakfast, or as an on the go snack during a busy day (the granola makes a pretty yummy snack on its own for that matter). Bloggers Roxy Pope and Ben Pook are skilled at making traditionally non-vegan recipes accessible for plant-based food lovers. 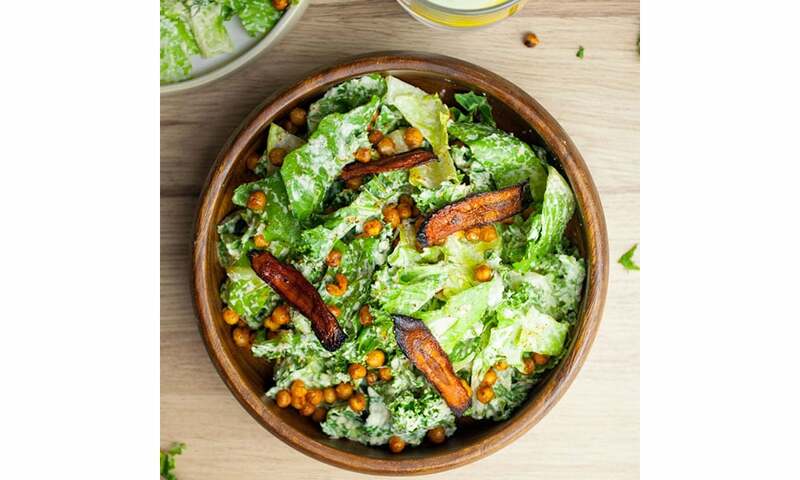 Their Caesar Salad recipe is a great example, including a delicious creamy-tasting dressing, paprika-seasoned chickpeas for a crouton-like crunch and roasted slices of marinated carrot in place of bacon. While there are a few steps to the recipe, it’s easily scaled-up for a crowd and its flavours and textures are sure to please vegans, vegetarians and meat-eaters alike. If you follow a plant-based diet and haven’t heard of Roxy and Ben, where have you been? 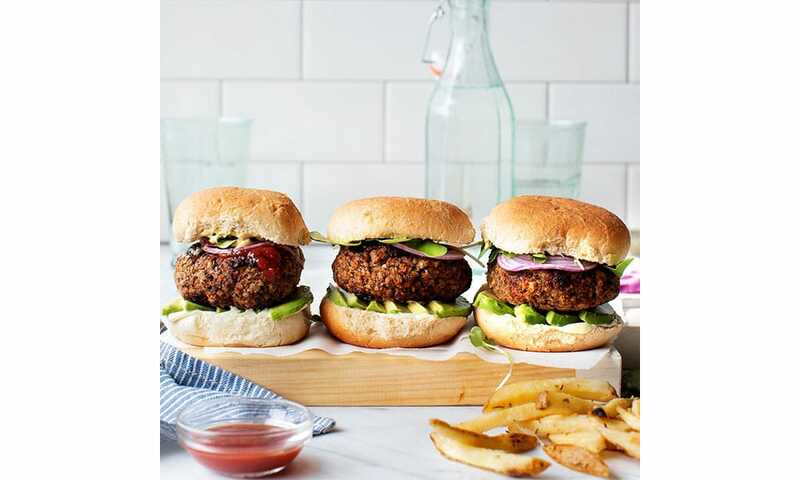 Their Facebook page, So Vegan, where they regularly post their latest recipe videos, has more than one million followers and they’ve recently announced the publication later this year of their first book of vegan recipes. One to add to your wish list. While the barbeque weather continues, we couldn’t give you a recipe collection that didn’t include one for the ultimate burger. This meat-free one, from US blogger Jeanine Donofrio, is one of our favourites. As well as tasting smoky, substantial and delicious, it’s pretty simple to make, since once you’ve sautéed your onions and mushrooms, everything gets combined in a food processor. Also, because it’s made with sticky rice and ground flaxseed, it tends to keep its shape well on the grill. All that’s left to do then is to slide it into a burger bun and load it up with your favourite toppings. Jeanine’s blog, Love and Lemons, is well worth a look. Her vegetarian and vegan recipes are bursting with the flavour of seasonal ingredients, and her bright and beautiful photos are sunshine on a plate. If you’re looking for a new pasta dish to add to your repertoire, we think we may just have found you the ideal recipe. Blogging couple David Frenkiel and Luise Vindhal have devised the freshest of dishes. 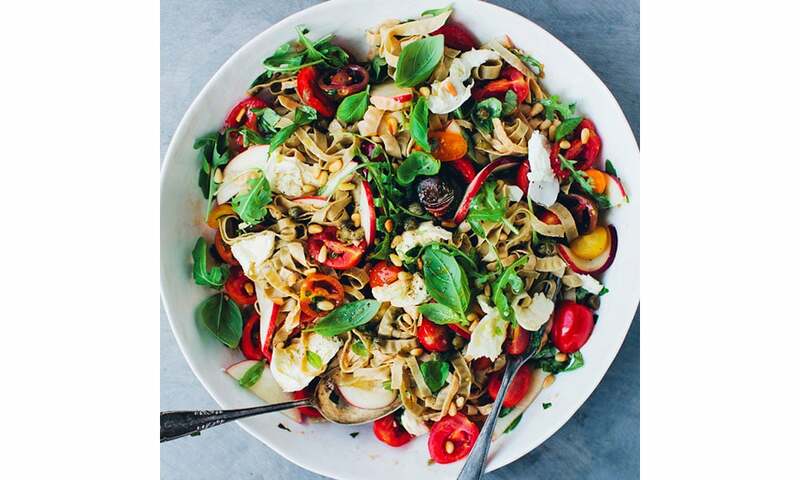 Aside from the pasta, there’s no cooking required, and it’s bursting with the flavours of ripe tomatoes and peaches, the creamy crunch of pine nuts and the soft, yielding texture of buffalo mozzarella. David and Luise are based in Stockholm, from where they write their Green Kitchen Stories blog. They are passionate about sharing simple, healthy vegetarian recipes using whole foods and organic products and so far they’ve published two books of vegetarian recipes, The Green Kitchen and Vegetarian Everyday. Former actor Aine Carlin has been blogging since 2009, sharing her dual passions for vegan food and vintage clothing. Her third book of vegan recipes, Cook, Share, Eat Vegan: Delicious Plant-Based Recipes for Everyone, was published by Octopus earlier this year, and she has kindly shared a recipe from the book with us. 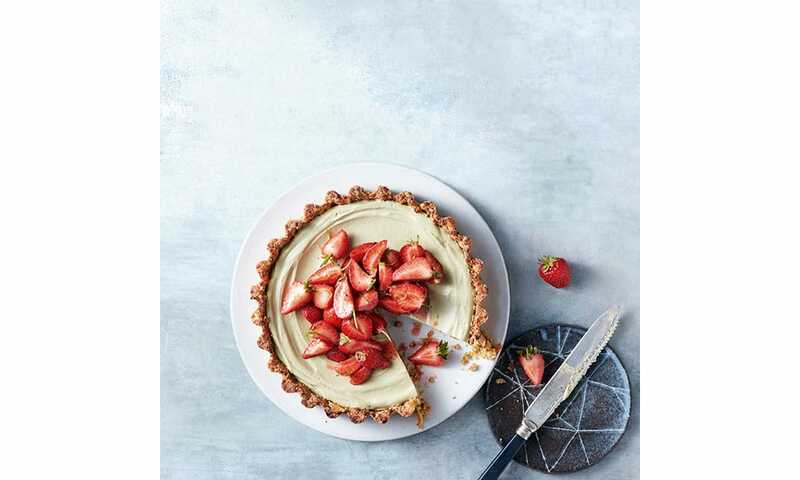 Her Matcha and Lime Pie serves 8-10, making it perfect to share. Best of all, most of the work is done in advance, meaning it’s simple to whip out at the last moment and wow your guests with its pretty, vibrant shades of lime green and strawberry blush.